Natural Travertine Stone with cream and white tones. Neutral tones allow this stone to be used anywhere in the home. Tumbled finish provide a casual yet eligent style with rounded corners and a semi-smooth surface. 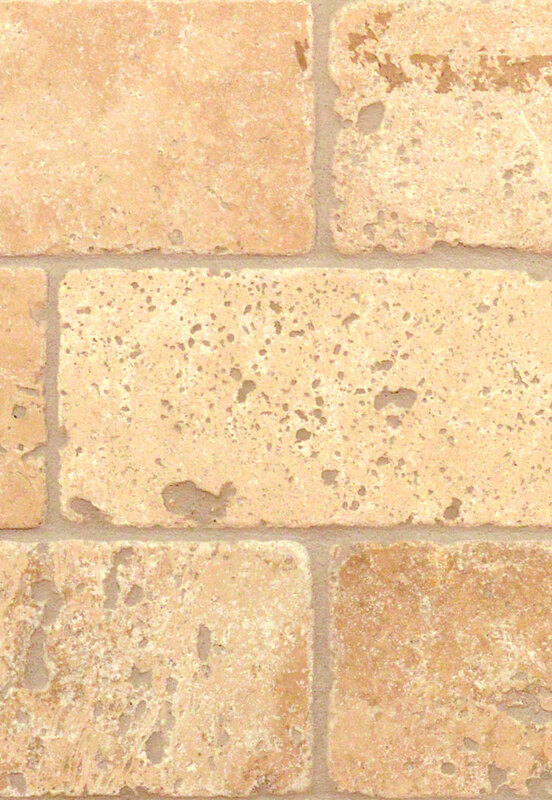 Grout will play a large role in the design of your project which provides a high degree of tone variation.